One of the best ways to learn about a tool is to see how other libraries are using it. To that end, we’ve interviewed Adele Barsh and Karen Heskett from UCSD to learn about their plans for LibCRM and what they hope to accomplish with it. We began wanting a CRM application as our library was going through a reorganization. We thought an application like LibCRM would improve our cross-team communications and allow us to take advantage of new report features that would help us evaluate and report out about our outreach programs and allow individual librarians to create meaningful activity reports on-demand. We see a very obvious need for improving communications and shared information between our subject liaison librarians and others within the library who also are working with those very same faculty, staff, and students. For example, subject librarians will be able to see when format specialists worked with one of our faculty members (e.g., on data curation, digital collections, scholarly communication, or with our Data Librarian or our GIS Librarian), or interactions between other specialists at other service points, such as our Digital Media Lab and Special Collections. Our first objective is to improve patron quality-of-service by communicating well with each other internally about specific patron needs; secondarily, we want to capture more statistics about what we do. We are excited about the potential for LibCRM to let us run reports showing data about how thoroughly we are reaching our end users across many disciplines, for example, instead of relying solely on our anecdotal knowledge and bare bones statistics. We’ve been a beta tester of LibCRM, and still are fine-tuning our set up. We plan for a roll out to our subject specialist librarians, format specialists and selected service point professional staff, followed by checking in with other librarians and staff members who are more peripherally-engaged in public services, to see their level of interest or if they come up with new ideas on how LibCRM could help them meet their service goals. Karen adds (and Adele agrees! ): One specific thing I am looking forward to using is the LibCRM BCC email option. As someone who does a significant amount of work via email, having an easy way to capture that as a data point is very attractive for me. Additionally, in keeping with our desire for better internal communication and as my activities become increasingly interdisciplinary, this allows me to keep others informed about these cross-disciplinary communications. We want to gather more statistics about individual transactions than we presently do, and we’re hoping there are enough useful features to the end-user librarian to entice them into becoming regular users. We also want to see if there are larger patterns within the interaction that we haven’t noticed before, such as gaps of outreach to specific disciplines, or testing targeted outreach for what effect that has on subsequent engagement with a broader range of library services. LibCRM Reporting Area in UCSD System. Run Reports on Graduate Students asking questions via email that are tagged ‘Digital Scholarship’ and ‘New Book/Journal Request’. Reporting area returns matching customer profiles so you can identify who is, and isn’t, interacting with the library. We’re feeling experimental so far about the projects and tasks areas. We think they might be great for tagging follow up needs (e.g., a subject librarian uncovers a scholarly communications or data curation need, or vice versa, and wants to alert the other librarian). We’re initiating small group testing with a goal of introducing the features, and then seeing what ideas our librarians and professional staff come up with. We love “process” here, so we think some exciting applications can emerge. It’s Great To Have An Idea. It’s Even Better To Have Examples. Making improvements is the name of the game. You’ve listened to the feedback on the services you offer… and have made a point to get started on providing those that you don’t. The priority is making sure your library is as useful to your patrons as possible. There have been meetings and plans. The projects are assigned. You have a vision for what you can do with the solutions you own. But, it’s helpful and practical to see what other libraries are doing. Reading about how your peers have come up with additional uses or found innovative ways to use features — this exchange is invaluable as you tailor your library to meet patron needs. Springshare understands how beneficial it is for our clients to see how other libraries solve problems, implement new services and, what’s more — learn how people have responded to the work they’re doing. We’ve had the Springshare Lounge since the very beginning. We share client usage examples in this blog. Plus, we have dedicated a section of the Springshare Buzz site to in-depth Client Stories. Examples are essential in life. If you were tiling your bathroom for the first time, you’d probably watch a video. If you were bungee jumping, you’d want someone else to go first! The Client Stories in the Buzz Site feature many types of libraries. You’ll find stories about Academic, Public, Government, Hospital and, soon, we’ll feature a School library. They all highlight ways your peers are using Springshare tools. Sometimes, we explore a singular accomplishment. For instance, the story on Penn State University covers how they have a library presence across 30,000 online courses using the LTI integration tool in LibGuides CMS. Other times, you’ll discover a story that shares how a library, like the Albuquerque/Bernalillo County Public Library, uses the Springshare Suite of tools. Don’t box yourself in. Get in there are read about how all kinds of librarians are working toward providing outstanding service. Client Stories align with your current and future projects because they’re all about your peers. Don’t be surprised to see segments that look a lot like your to-do lists or your recent meeting agenda talking points. Great librarians. Great minds. Great community. Are you thinking about using the LibGuides Blogging tool for a newsletter? Have you been considering using the LibAnswers Platform but would love to hear how it’s working for libraries? Wondering if you’re using LibWizard to its full potential? There’s a wealth of knowledge and experience out there. Librarians are innovators with some of the same goals as you and, often, the same challenges. It’s constructive and efficient to learn how some addressed their dilemmas. Springshare loves learning about the excellent ideas our clients have imagined and implemented using our tools, so what else would we do but listen and praise and share them with you! Happy reading. At the Linscheid Library at East Central University, it all started with a mentoring program. In 2017, during a mentoring relationship with a new technical services librarian, Patrick Baumann and his mentee discussed the different personality types of their librarians and how, if different personalities joined together, it could really enhance the Library’s team. Patrick teamed up with librarian Marla Lobley to take this idea to the next level. By the beginning of 2018, Marla and Patrick started their StrengthsFinder Project. 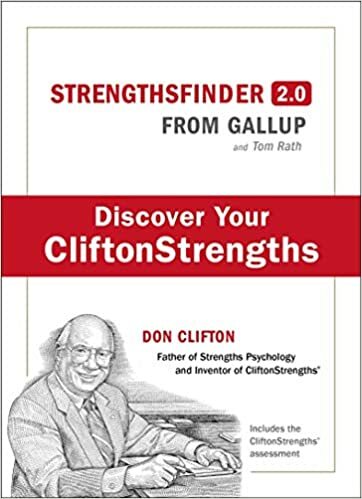 Using Tom Rath’s 2007 StrengthsFinder 2.0 book as the basis for their project, Marla and Patrick went beyond the typical personality tests to actually uncover each individual’s top strengths. StrengthsFinder starts with 16 personalities and then gives you exercises for your top strengths as well as exercises for team-building. Lastly, it focuses on the positive. You’re talking about your strengths and not your weaknesses. Because we all think about our weaknesses and what you’re not good at. This focuses on your strengths and positive things. Once they had the project in place, they needed a tool to carry it out. Rather than relying on email, Marla remembered that their LibGuides CMS tool has internal Discussion Board functionality. So librarians could log in to a tool they’re already familiar and comfortable with, and know that this internal project would remain just that… internal and not visible to the public. Their first LibGuides CMS Discussion Board thread was a calendar, a method for librarians to keep on track of the project. Each librarian performed a strengths assessment, reported on their strengths, and then focused on their top-five strengths. Each librarian then created an action plan to focus/enhance those strengths and share their strengths with everyone else. For sharing their strengths, and to get feedback, each librarian created a Discussion Post highlighting their top five strengths. Colleagues would then reply to each librarian’s thread with their personal feedback. Our colleagues would reply to each thread and say, “I can see this strength in you such and such project. You use that strength, and I’ve seen it.” That gave us some positive feedback. Having this as discussion board threads, it was easy to manage and navigate….especially when you have 23+ replies. With each thread reply, you can mark things as helpful which is almost like ‘Liking’ in Facebook. Which is kinda cool. If someone replied with a comment that you liked, you can mark it as helpful. It made it fun in addition to useful. Overall, Patrick and Marla consider the project a success. It focused on the positive, each librarian’s strengths, and it helped each person to better understand their coworkers. Plus, their library director found it helpful to learn about each of the librarians and how best to work with them. In terms of using the LibGuides CMS Discussion Boards for this project, it went really smoothly. It’s pretty straight-forward. And it’s about how you can be creative in using a tool through Springshare. It was a worthwhile project, and I’m glad we did it. And the [LibGuides CMS] Discussion Boards really helped us to carry it through. If you’re planning on doing a similar project, Patrick and Marla have some helpful suggestions from their lessons learned. If you’re planning on using a book as the basis for your project, be sure to get everyone copies of the book. Make a plan/calendar and keep on task. Remember, people go at their own pace, so remain flexible to give people time to process and schedule time for open discussions. Be prepared to give and receive honest feedback. Be up front with what you’re doing. And if you’re using LibGuides CMS Discussion Boards, remember to set notifications for each thread. Note: If you’re not getting notifications, check with your IT department about whitelisting LibGuides CMS emails. Navigate to our Facebook Page to view Patrick’s 15 minute presentation from ALA-Midwinter 2019. You don’t need a Facebook account to access the video, but if you do – take a minute and Like our Facebook Page so you won’t miss cool content like this in the future (be sure to set your notifications for @springshare to ‘On’ so our posts show in your Facebook activity stream). Download Patrick’s slides from our ALA-Midwinter Recap Guide, and check out some of the other presenters to boot! If you missed the 2019 ALA Midwinter in Seattle, you not only missed beautiful weather (it was actually sunny, no rain, every single day!) but also our amazing line-up of guest speakers. But have no fear and put away that sad trombone music, because we have something great in store for you! Watch all guest presentations and download presenter materials on our ALA Midwinter 2019 Guest Presentations Buzz Guide. Huzzah! Cue happy trombone music! But, that’s not all. We also have recordings of three Springy Trainer-led sessions that we did at ALA Midwinter as well! From Springy Carrie presenting on the brand-new Screensharing functionality in LibAnswers to Springy Michelle highlighting the new LibStaffer Workflow forms, these are awesome (and short!) videos to consume. While you’re there, you might notice that all videos are hosted on our Facebook Page*. That’s because we use Facebook Live to stream these guest presentations… 100% live. So please bear with us if they’re not 100% polished and sparkling, the beauty of live video streaming is that we’re all on this journey together – and the hiccups are what make it interesting. And hey, while you’re looking at this videos on our Facebook page …why not take a minute and LIKE our page? This way, the next time we stream amazing guest speakers, you won’t miss out on seeing them. 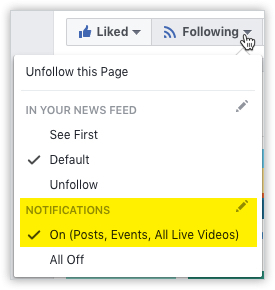 And remember, if you want to receive notifications in your Facebook Feed, you’ll also need to adjust your notifications to ON. This way, you won’t miss out on product updates, video presentations, Facebook Live streaming, and more. These 15-minute guest presentations by Springshare users will get you thinking about the new and interesting ways you can use your Springshare tools. While LibAnswers can be used to answer patron questions, the sky is really the limit in how you use it to manage patron communication. Learn how Fort Vancouver Regional Library customized queues for Reading Suggestions, Proctoring, and Technology Assistance services, and see how they use FAQs to proactively address trends in patron questions. The librarians at East Central University underwent a project in 2018 to improve employee communication and relationships. Watch Patrick Baumann present on the project origins and more. Learn creative ways to use Springshare products to improve their work environment. Troy University – The Library Has That? : Using LibGuides to Promote Library Services. The Troy University Librarians provide services to students, staff, and faculty at four Alabama campuses and around the world. LibGuides were used to provide a centralized point of reference to answer recurring questions. Watch librarians Kelly Wilson and Rachel Hooper as they discuss these guides and how they have impacted their librarians and services to their patrons. Science Librarian Jessica Simpson discusses how she’s customized guides to meet the needs of students across disciplines. Watch and take away great tips for making your guides more useful. LibStaffer Workflow Forms: Handle all your job applications, hiring, and scheduling in one tool! *Note: You do not need a Facebook account to watch our videos, simply ignore the login/sign-up information and proceed. Get Creative. Let Your LibGuides Imagination Run Wild. LibGuides Is Your Efficient & Effective Multi-Tool. While the cake pop maker you got as a gift sits in your pantry with many other one-purpose small appliances, you probably think about regifting it at least four times a year. You already know that LibGuides can help you build subject guides, course-specific guides, guides you use to outline your orientation sessions and — for public libraries — guides for everything from Taxes to Genealogy to Job Searching and beyond. LibGuides is so flexible because we didn’t design it to do those things. We designed it to communicate. LibGuides can also be your megaphone, your bulletin board, your invitation, and your checklist. It can be your newsletter, your blog, your virtual book club… you see where we’re going with this. It can be your go-to way of starting any conversation with your multiple audiences and — while you’re at it — it is a scrapbook of all the cool things you’re doing and sharing! If you have LibGuides CMS, it can be your intranet, your sandbox and more! Check out some really great ways people are using LibGuides to say — anything. Keep Everyone In The Loop. LibGuides are easy to build and, just as important, they’re easy to keep updated. They’re a perfect fit for building guides that are important to everyone. The University of South Carolina Upstate Library turned to LibGuides to keep everyone updated on the Library renovations. They designed a visually striking image and put it in the top box that spans the columns. They included images and have a tabbed box they’re using as a monthly blog to detail progress and share timelines. They’ve even got a top-level tab that contains Conceptual Drawings and Plans. It’s a stellar example of keeping their community engaged and in the loop. Conferences, Vendor Days, Annual Meetings and Events. Check! The best part? Since they also have LibWizard, if they wanted to get feedback, they could add a survey to the guide and ask attendees to fill it out after the event. Bulletin boards are great… if you’re looking for a drummer. But if you need to share more information, you should head to LibGuides. The B.D. Owens Library at Northwest Missouri State University is asking for submissions of a paper or project for their Undergraduate Library Research Awards. They have conveyed the deadline, listed the prizes, shared the date and time for the ceremony. Plus, they utilized the tabs to define the eligibility, the criteria and even have a section noting previous winners. LibGuides is designed with promotion in mind. During the publication stage, they can share this guide via Twitter and Facebook. Plus, friendly URLs are great for sharing the link. When you want to get the word out — but there are definitely more than two words, (i.e. “roommate needed!”) we’ve got you covered. Foster A Sense of Community with a Book Club. Libraries are using the Blogging feature in LibGuides to announce exciting additions to the collection, to introduce a new member of the team, to share a new service being offered, and — in the case of Boston Children’s Hospital — to post information about their Book Group. People can subscribe to the blog. They can view recent posts and even check out the archive. Engagement is encouraged with integrated commenting. Behind the scenes, the bloggers can manage subscribers, create a blog widget and, to really up the broadcast game, they can easily share a published blog on social media. If you want to nurture your creativity in 2019, we’re here to encourage more limitless thinking. We’ve got excellent videos on-hand for you to peruse and new live sessions to keep you discovering (sign-up to get Training email alerts!). 2019 is upon us and everyone loves a recap post. We wrote 58 blog posts in 2018 (phew, our fingers are tired!) showcasing awesome new functionality in Springy Tools, guest presentations, SpringyCamp conferences, and so much more. So join us as we look back and highlight our top ten blog posts of last year. If cloud-computing had a theme in 2018, it would’ve been HTTPS. In this blog post, we announced new functionality to route all patron traffic in Springy tools (LibGuides, LibCal, LibAnswers, etc.) through HTTPS. Plus, we added integration with Let’s Encrypt to provide completely free HTTPS security certificates for all your Springy v2 tools. Talk about starting 2018 off with a bang! Don’t you just love it when your tools seamlessly work together? We do, too. That’s why we added two-way integration between LibCal (your calendaring tool) and LibStaffer (your staffing/scheduling tool). In LibCal, if you have a confirmed Scheduler Appointment – you can’t be booked for a LibStaffer shift and vice versa. 2018 – the year you stopped accidentally double-booking yourself. Huzzah! In preparation for the GDPR’s enforcement on May 25, 2018, we released tons of features to help ensure your compliance. And, if you think, “Hey, our institution doesn’t reside in the EU, so this doesn’t apply to us.” Think again. If you service even a single EU citizen, no matter where in the world that EU citizen resides, the GDPR applies to you. And, while we were on the subject of privacy, we revamped our email list. So, if you want receive our Springshare newsletter, new product releases, training webinars, and SpringyCamp announcements – you need to explicitly opt-in here. I mean, who doesn’t love a good April Fool’s joke?! This blog post was dedicated to our fake product launch – LibTote and LibTote Platinum. Smart Tote technology you can take with you, to help you take other things. Why? Well, because there are two kinds of Librarians in the world… and they both love Tote bags. If you need a chuckle, take a minute (or two!) and revisit this blog post and dream of a world where your Tote bag has Blue’tote functionality, smart expansion, and robust usage stats. Sigh – if only we lived in such a world. LibAnswers with LibChat saw a ton of updates last year. But we kicked it off with a blog post announcing an entirely new LibChat operator console designed to help you manage loads of patron chats more efficiently and chat internally with colleagues as easily as possible. But, this was just the tip of the new features iceberg. We, later, announced more chat improvements, ideas for discovery layer integration, and our screensharing & webinar functionality (coming January 2019). In case you missed it, SpringyCamp is our virtual user conference (completely free!) where Springy users share how they’re using their Springshare tools at their institutions to attendees who watch from around the world. Literally, we have people who get up at 3am their time to join! Our 2018 Summer Series featured three virtual conferences, June, July, and August, with some amazing presenters and showstopping presentations. If you didn’t get a chance to watch the first time around, no worries – watch a recording any time. LibInsight is your data storage and analysis powerhouse – and it got even more powerhouse’y last July. We rolled out automated fetching for your SUSHI compliant E-Journals, Databases, and eBooks datasets. Simply connect LibInsight to your database vendors and your e-resource usage data will automatically port into LibInsight for easy analysis. We’ve seen our fair share of excellent LibGuides. This blog post details the guides you should have and ones you didn’t even know you needed! If you’re looking for LibGuides inspiration from other libraries, don’t miss this list highlighting just some of our favorite essential LibGuides. And, if you’re looking to build some LibGuides on current events, don’t miss this blog post either! We released a really big feature for LibStaffer at the end of last year that helps you streamline the way your library processes various staffing-related forms. LibStaffer Workflow Forms enables you to create customized online forms that facilitate the entire life cycle – after the form is submitted. This includes automated email notifications, full audit trails, and the ability to view the entire workflow/history for each form submission. Looking for ways to use LibStaffer Workflow Forms? Check out this blog post highlighting 5 Ways to Use Workflow Forms. When you start a year with a bang it has to end with one too, by announcing announcing a dedicated data center for our Australia, New Zealand, and Asia-Pacific customers. In early 2019, we’ll automatically move all customers located in the Asia-Pacific region to this dedicated server cluster. This new data center is our 3rd cluster, with dedicated geographical servers, alongside our Canadian and European clusters. These dedicated data centers help ensure that your institution is in compliance with local laws regarding transmission of patron data in/out of the United States. Always Stay Tuned: Springshare Has Lots For You To Love. Fall Back — In Love With Learning More! For those of you who changed your clocks, what will you do with your extra hour? As the calendar year comes to a close, one might think that it’s time to wind things down. However, here at Springshare, we do no such thing. For a lot of libraries, this time of year actually poses an opportunity. Perhaps you finally have some time to evaluate current processes, look into new solutions and/or catch up on the latest feature updates to the Springy tools you’ve already got. So, instead of slowing down, we’re just as ramped up as ever to help you take advantage of this time. Springy Live Sessions Are Always A Best Bet. Our classic free training sessions are a staple around here as they are a delightful mix of thorough and lively — mostly because our trainers love interacting with clients and our clients ask excellent questions that benefit everyone in attendance. Don’t miss these upcoming sessions. For a complete list of what’s to come, please check the training calendar. New to the lineup is the Brunch & Learn series. These are live sessions centered around specific topics. Often they highlight ways that people are using our tools. We have one more scheduled for this year. Make sure to catch it. But, you can also have fun watching the recordings of some of our recent installments! For those who have a little time and want to learn a little more, we recently introduced Training Tidbits. If you have 15 minutes and want to walk away after them just stunned by how much you could learn in so little time, then keep an eye out for these quick sessions. Be sure to catch these upcoming LIVE sessions. A New Watchlist to Add to Your Rotation. If you read our most recent SpringyNews edition, you probably saw that we added a new section called the Watchlist. It’s our version of staff recommendations but it’s focused on our recorded webinars, presentations from clients at conferences, SpringyCamp sessions, and more. In these next few weeks, go ahead and hunker down with some of these cherry-picked videos. It’s certainly a fun way to gather tips and tricks. The developers here at Springshare are as busy as ever working on bringing to life new features and enhancements to make sure Springy solutions are as up-to-date as possible with the current needs — and, sometimes, we even get a step or two ahead. To always keep up with the tech, make sure to read our Blog. Plus, you’ll find a section of the newsletter devoted to the soon-to-be-released updates. Read up on what’s in store, now. Did you see the latest Client Story in our Buzz Site on the Boston Public Library? Perhaps you haven’t. Maybe the new Brunch & Learn sessions and the latest SpringyNews newsletter and the Client Stories are all news to you as you. If you don’t want to miss any of the fun, informative, classic or new content we are actively putting together for you — then make sure you opt-in to the good times. Always stay tuned in to the Springshare channels. We are regularly working on coming up with interesting topics for training webinars and writing stories about how librarians all over the world are creatively using Springy solutions. We want you to have access to all of it! Getting a handle on your data is a big deal. More and more people are having conversations about the next steps for their data. People have been collecting it for years and years. This was the major focus for some time. It was the pressing priority. We have to track things. This led to — let’s just track everything…in case we need that data. This exchange surrounding data is an ever-evolving one and at Springshare we are dedicated to propelling our libraries beyond recording to real reporting. LibInsight allows your data the ability to matter, to perform. We’re highlighting the inspiring dig into the data attitudes of two terrific clients. Check out the types of datasets they’ve made, what they’re able to see with their data all in one place, and in what way the data can be used. It’s off the charts exciting! The first datasets they made were for Gate Counts, ILL Lending, Circulation, etc. As they worked on, they learned valuable things that can benefit others. Joe said, “Our original database metric dataset only used SUSHI and so we ended up with usage data at the vendor (Gale, ProQuest, etc) level. We wanted more granular results so we set up a new dataset that used uploaded COUNTER reports to get usage data at the platform level (Academic Search Complete, ARTSTOR, etc).” Now, the most popular datasets are ones for Database usage, Circulation and EBook usage. We’re so excited about how Buffalo State has raised their dataset game in just the last 2 years with the full LibInsight system. Unlimited datasets = unlimited experimenting. And, this is exactly what makes the data discussion important. What is not up for debate here is how collecting the data is the first step. Libraries are doing that — have been doing that. But it would be amazing if you could make data-driven decisions! It’s exciting to be able to use LibInsight to analyze the data in a meaningful way so that you can see how library instruction affects student success. This is what you need today and going forward — to have the ability to examine relationships and test possible correlations, and to cut through that data to what you want to extract quickly so you can get to the answers. If you can’t attend these dates and times, register so you can opt to receive the recording. To get more information on LibInsight, contact sales@springshare.com. 2018 Is All About… You! While some companies might have a customer appreciation month, Springshare is all about having a customer appreciation year. 2018 is all about you… our awesome’sauce Springy rockstar users. We want to hear how you’re using Springshare tools, and we want to promote, broadcast, and shout-out your amazing’ness to the entire Springy Universe. However, we can’t put the proverbial bullhorn to work if we don’t even know how you’re using Springy Tools! Drop Us a Line And Tell Us What You’re Doing! To that end, we’ve created a handy-dandy form for you to fill out and let us know how you’re using Springy Tools in your organization. If you’re asking yourself, what kinds of innovative uses of Springy Tools we’re looking for… here are some ideas! Reach out to users in new & innovative ways? Promote interactive & engaging learning experiences? Create a staff intranet or knowledgebase? How Will You Be Featured? Well, that depends on you! We have a variety of ways you can be featured from a dedicated client story, to a blog post, to being featured on our website, or hosting a Brunch & Learn, presenting at an upcoming conference (PLA, ALA 2018), or being a SpringyCamp Presenter! When you fill out the form, just let us know how you want to be featured and we’ll work with you! Client Story: In-depth interview where we feature your use of Springy Tool(s). PLA Flash Presentation: 15 minute in-person presentation at the PLA Conference. The presentation will be shared via Facebook Live. ALA Flash Presentation: 15 minute in-person presentation at the ALA Conference in New Orleans. The presentation will be shared via Facebook Live. Brunch & Learn: 20 minute virtual presentation (held on the 2nd and 4th Thursday of the month at Noon EST). You will work with a Springy to create a tips sheet for attendees. SpringyCamp: 15-20 minute virtual presentation held during our Summer SpringyCamp (June, July & August). Blog/Website: Be featured on our website either a video, testimonial, interview or how-to. ACRL 2019 Flash Presentation: 15 minute in-person presentation at the ACRL Conference in New Orleans. The presentation will be shared via Facebook Live. If you were #alamw18leftbehind, you not only missed out on beautiful Denver (it snowed!) but also our rocking line-up of guest speakers. But have no fear, all guest presentations were recorded! So while we can’t bring beautiful Denver to you, you can view those presentations and presenter materials on our ALA-MW 2018 Guest Presentations Buzz Guide. While you’re there, you might notice that all videos are hosted on our Facebook Page. And hey, since you’re there anyway…why not LIKE our Facebook page? </shameless-plug> If you want to receive notifications in your Facebook Feed, you’ll also need to adjust your notifications to ON. This way, you won’t miss out on product updates, video presentations, Facebook Live streaming, and more. These 15-minute guest presentations by real-life Springshare users will get you thinking about the new and interesting ways you can use your Springshare tools.